Former Manchester United manager Jose Mourinho has predicted that Italian giants Juventus and reigning Spanish champions Barcelona would reach this year’s Champions League semis. Barcelona are on track to progress into the semi-finals after beating Manchester United 1-0 at Old Trafford in the first leg, while Juventus grabbed an away goal against Ajax in their 1-1 draw. Although Jose Mourinho explained that all the teams have the chance to progress to the last four of the championship, but added that Barcelona and Juventus have good chance. ‘’Let me protect myself a little bit; I think every club has a chance. The results are showing that everyone has a chance. ”Nobody goes to the second leg thinking ‘that’s done, I qualified already’ or ‘that’s done, I have no chance. ”You know Barcelona and Juventus they have a little advantage. Barcelona is winning one nil and now play at home. ”Juventus drew with goals and know they are playing at home. 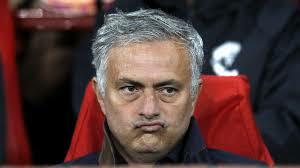 They have a little advantage,” Mourinho told Russia Today. Earlier, Legit.ng had reported how Barcelona are one leg through to the semifinals of this season’s Champions League following their slim victory over Manchester United at Old Trafford. The Catalans took the lead through an own goal from Luke Shaw who deflected Luis Suarez’s header into his side’s net in the 12 minute. Marcus Rashford tried restoring parity for the Red Devils almost immediately after conceding their first goal but his efforts was intercepted by the visitors defenders.